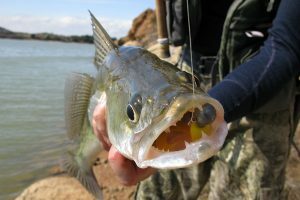 After essentially three days of stormy/windy weather, some areas of the bay seemed more effected than others in terms of the walleye bite. The Charity Island area reported very poor fishing, as was the case pretty much down the entire eastern side of the bay. 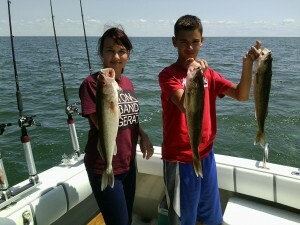 Fish were caught, some limit catches, especially in shallow water. The west side of the bay, from Pt. Augres south, faired considerable better. Small boat anglers fishing the 8-10 depths off the Pinconning and Saganing Bar casting Erie Dearies with crawlers into pockets in the weed beds or reeling in fast above the tops of the weeds were taking good numbers of fish in the 15-18 inch size, along with a few northern pike and catfish. Good reports also came from anglers fishing west of Buoys 1 and 2, near the Red Spark Plug and the sailboat buoys. 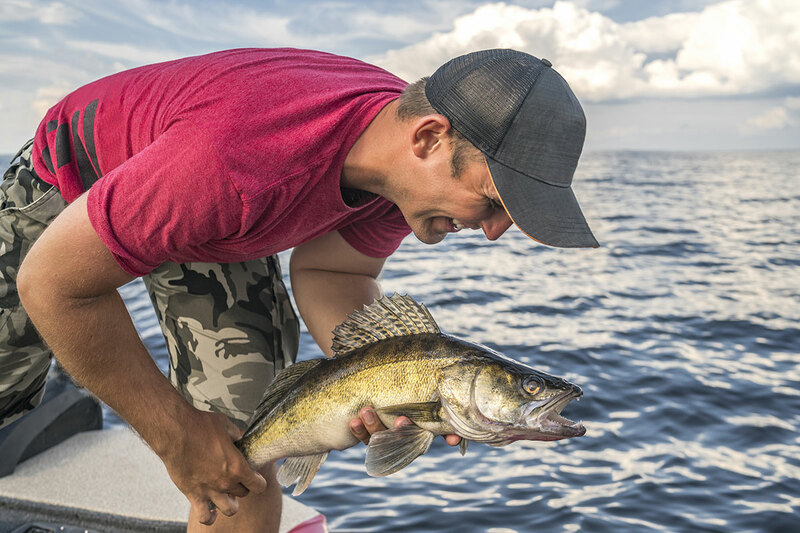 Spoons trolled behind two colors of lead core were very effective, but anglers were doing a lot of “sorting” of under-size walleye (the size limit is 15 inches and NOT 14, as one angler tried to claim). Night crawlers on harnesses still remain the preferred bait though they have gotten quite expensive. 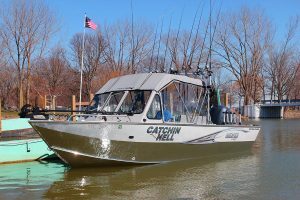 One bait shop was charging as much as $3 a dozen, and anglers were complaining half the crawlers were merely “garden worms”. 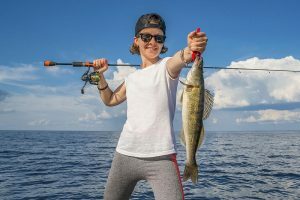 Buying crawlers in gallon bags is the best bet for price, and it also gives anglers a chance to check the quality of the crawlers. Frank’s Great Outdoors in Linwood has had the most consistent crawlers all summer. The weekend weather forecast is currently calling for a good chance of thunderstorms through Monday. Pay good attention to the weather channel on your marine radio, and the radar on your “smart phone” if you have one with that capability. When storms threaten, get off the water. 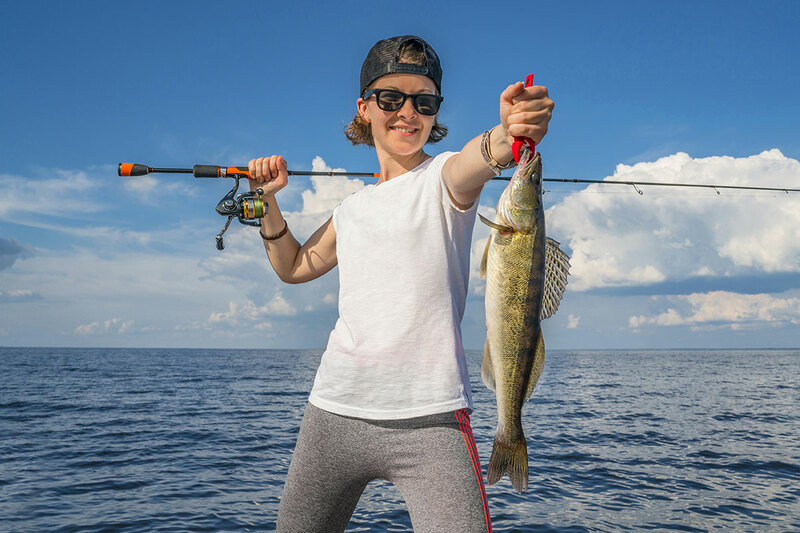 There’s still plenty of great walleye fishing ahead so plan a trip and be sure and take your kids. Pack a lunch, include plenty of drinking water, and enjoy a great day of fishing on Saginaw Bay.